Why should we worry about authenticating the Hadith literature any more—given that we have the impeccable collections of sound traditions of the Prophet ﷺ in Bukhâri and Muslim, among others? Well, because in the light of new and increasingly damaging attacks against Islam from its enemies and critics, in addition to the efforts by world powers to rewrite Islam in accordance with their interests, it is essential that believing Muslims—who love Allah and His Din—also girdle up their defenses. Some of the most vehement attacks against the Din of Allah have been on the issue of authenticity of the Sunnah of the Prophet ﷺ — which has been preserved in the form of ahadith (Prophetic reports). There is a reason why the Hadith literature is often attacked both by the enemies of Islam as well as by those Muslims who are enchanted by other ideals and are trying to reinterpret Islam to fit their vision. To challenge the pure monotheism of Islam or its irrefutable appeal to good human nature is a lost cause; and the enemies of Islam know this well. 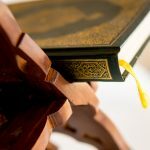 To challenge the authenticity of the final Book of Allah—the Quran—is also hopeless for any reasonable person, even though attempts are now being made by some desperate enemies. The only option left is to reinterpret the Message of Allah—by assigning its words arbitrary, self-serving meanings. This becomes possible especially if the Quran is reduced to a book in a vacuum, by attacking and making suspicious the entire corpus of Hadith literature that tells us when, how, and why the various Qur’anic passages were revealed. Of course, the Quran explicitly demands that we follow the additional and independent legislation and instruction of the Final Messenger. If you detach the words of the Quran from the person of the truthful Messenger of Allah—from his example and his explanations—and suspend them in a vacuum—then of course a million interpretations of each verse are possible. Any word can have any number of meanings, so long as you can change its entry in your dictionary. Without the guidance of authentic Sunnah, the verses of the Quran are no longer real, alive and concrete words that were understood, applied and explained by a real, living human being—known to us through richly documented history—and understood correctly by an entire community—a community, that, as a sign of God’s approval and blessing, soon became the world’s greatest power and civilization. Rather, they become reduced to enigmatic allusions whose meaning is anybody’s guess. In other words, they become like words of the Bible and other scriptures whose original texts were lost or utterly disfigured. For the last two centuries, while the best and most dedicated minds among the Muslims have been busy learning engineering and medicine from the West, thousands of Western scholars have been engaged in studying, evaluating, reinterpreting and questioning the entire corpus of Islamic sciences. Not all non-Muslim scholars are malicious towards Islam, and a good number of studies coming out of Western universities invite Muslims to rethink a lot of what they have been taking for granted and a lot of what they have by now forgotten. However, and to no one’s surprise, most of these studies serve to cut at the roots of Islamic belief. A brief history is in order. Since the nineteenth century, as the Muslim world encountered Western modernity and as Western scholars began to critically study Islamic sources based on the methods of textual study (philology) which they had developed in their Biblical studies, questions were raised about the authenticity of Islamic sources, especially about the Quran and the Hadith literature. These Western scholars of Islam, called Orientalists, were influenced by the 19th century trends in a secularizing Europe where religion was fleeing from the intellectual and public sphere and religious texts were being, for the first time in Christian history, studied critically and historically. These philological scholars found plenty of evidence that these Biblical texts were written a few centuries after the actual events they describe took place, and were distorted by political and other considerations that surrounded the writers. These biblical studies devastated claims of the Christian Church for all practical purposes, so that Christianity was to become a religion of the laymen or of those who could have faith against all evidence. It could not be a faith of reason or history any more. As the West colonized the Muslim world and came across Islam—a religion that the religious West had thus far feared and hated—the new kind of Western scholar, mostly secular and post-Christian, started to study Islam with a new interest, and for their own specific purposes. Those sympathetic to Christianity, like the famed Max Weber, wanted to show the superiority of their religion to Islam and give reasons why Islamic societies could not develop and modernize while the Christian ones could. Others wanted to study Islam for colonial purposes— to rule the Muslims better. Still others wanted to prove their atheistic theories about religion being a figment of human imagination and not based on God-sent message, and so attempted to show that Islam too, like Christianity, was a human product. To them, the Prophet was an intelligent man— someone who told brilliant lies to humanity for good intentions. This viewpoint is still widely embraced by Western scholars and writers today. Some others, who simply wanted attention perhaps, made claims that were laughable even to other Westerners, such as that Islam was created by the Arab imperialists to justify their rule. At the heart of all these claims about the human origin of Islam lay the basic Orientalist bias: just as the Christian texts were ‘invented’ a few centuries after the appearance of Jesus, so must Islamic texts be shown to have originated a few centuries after Muhammad. Most of the attempts to discredit Islamic texts, however, have been frustrated, sometimes by other Western scholars who have pointed out serious problems with these kinds of claims. These days, the heat against Islam is once again back on, and on high, and so are attempts to ‘reform’ Islam in the image of the Western religions and to show that the Islamic texts, particularly the Hadith literature, are not authentic. The Muslim response, for the most part, has been to wait for some revivalist, some scholar, or some miracle that would prove to the world, and the coming generations of Muslims, that all the propaganda is baseless, fabricated, and incoherent. While there have been efforts by some scholars to engage the modern critics with reason, argument and historical research—and one brilliant example of that is Dr. Hamidullah’s work on ‘the Ṣaḥîfah of Hammâm’—generally, our response has been to ignore and neglect the challenge. Hadith is the only means by which we can know the Sunnah of the Prophet ﷺ and consequently the full meanings of the Quran in its proper context. But since the Hadith literature, unlike the Quran, is not a single, well-known, bounded text, but rather a baffling amount of literature collected over several generations—its authenticity and organization have been a great challenge. This challenge, however, was taken up by the great scholars of Islam, who duly produced the most amazing large-scale efforts in history— as allowed by the technology of the time—to protect and preserve everything that the Prophet ever said or did. The fact that some people tried to fabricate aḥâdîth shows that the aḥâdîth were deemed extremely influential and authoritative—nobody fakes a currency that has no value. All studies of early Islamic history, even by the most cynical and critical of non-Muslim scholars, have shown that the learning, teaching and preservation of Hadith were the focus of Muslim scholarship during the first few centuries of Islam. Because the aḥâdîth of the Prophet had such great currency at the time, so then liars and opportunists—as have always existed in all societies—fabricated aḥâdîth to accomplish worldly goals. History attests to the fact that our Pious Predecessors, who were chosen by Allah to be the recipients of His final message, did not fall short of their obligation to preserve the Sunnah: Colossal attempts were made to resist and eradicate this forging of aḥâdîth by the scholars and leaders. Thousands and thousands of scholars began to study, memorize, authenticate and preserve the Hadith literature. What Happened to the Traditional Scholarship of Hadith? It is still around: there are numerous scholars devoted to Hadith who have spent their lives memorizing, sorting and evaluating aḥâdîth. However, in my humble opinion after taking stock of Hadith studies both by Muslims as well as non-Muslims, I venture to say that there is a lot that has not been done, and a lot that cannot be done without a serious revival of Hadith sciences and methodology. More rigorous historical research has unearthed even older manuscripts of Hadith than the canonical ones which we are used to as Bukhâri and Muslim—I mean specifically the collection of Abû Hurairah’s one hundred and forty reports that he dictated to his disciple, Hammâm ibn Munabbih. These aḥâdîth are found in either Bukhâri or Muslim, which is a tribute to the accuracy and veracity of these two collections. More such discoveries are possible, and Muslim historians must labor hard for them. Similarly, there is a lot that the scholars of today, both traditional and modern, do not know about the context, meaning and authenticity of many reports. For example, a tremendous amount of work is yet to be done in understanding the context of these aḥâdîth, thereby resolving conflicts and disagreements about their meanings as well as authenticity. What Can We—the Ordinary Muslims—Do about It? For the ordinary Muslim, it is no longer possible to turn a blind eye to this challenge, because it is no longer only a battle in the academy—in the echelons of Orientalism far removed from Islam and Muslims. It is rather a very pertinent, a very real-life battle. More and more young Muslims, in the West but ultimately everywhere in the world, are growing up reading, learning, discussing and internalizing these attacks on Islam and skepticism towards its authentic sources. The questions raised by skeptics, out of antipathy or apathy, are becoming political weapons in some hands, and a means of social and financial gain in others. Legions of pseudo-Muslims and pseudo-scholars and pseudo-experts have mushroomed, and it is becoming an uphill battle, for unaware Muslims as well as non-Muslims, to figure out the true teachings of Islam. What can ordinary Muslims do about this? Doesn’t Hadith scholarship require a lifetime of study? No—not at all. It requires not one lifetime, but in fact many, many lifetimes. And that is precisely why we need ordinary Muslims, all Muslims, to worry about it. True, we need the piety and rigor of Al-Zuhri, Shuᶜbah, Imam Aḥmad ibn Ḥanbal, and the painstaking precision of those like Imams Bukhâri and Muslim in the science of Hadith. But all excellence and success can start with ordinary Muslims: There is no clergy in Islam. As long as resourceful and educated Muslims keep sending their best and most productive young minds to the sciences of this world for seeking money, status and comfort, and as long as they abandon the sacred sciences for the drop-outs and the have-not to take on—or, worse yet, for non-Muslims to distort or misuse—we will never regain the intellectual superiority and convincing power of our faith. So long as these trends of neglect and negligence continue, we will keep losing both intellectual ground as well as our coming generations. The history of Islam, which I have drawn upon in posing the challenge, also gives us hope. As the great Indian scholar Abû Al-Ḥasan ᶜAli Al-Nadwi said, Allah has always raised among Muslims those who have protected Islam against its enemies and awakened Muslims from their slumber. This time around, the task is big. I cannot emphasize enough that this work must be done by Muslims— believing, dedicated, and brilliant Muslim scholars. These must outdo all others in using the best historical and analytical tools. No science is completely objective, but especially the science of interpretation and historical criticism is deeply connected to one’s beliefs and worldview, to how much one understands or identifies with the texts or to the people whom one is writing about. Accordingly, things like interpretation of Quran and Hadith, or like their historical criticism, can never be correctly accomplished at the hands of non-Muslims or non-committed Muslims. Knowledge and certainty are inspired by Allah, as are arguments and counter-arguments about interpretation and authenticity, and so the belief and piety of the scholar are critical to his or her credibility. Muslims must reclaim in the light of modern methods and sciences once again the sciences that they pioneered: criticism, authentication and interpretation of reports. It is necessary that not only the foremost historians and interpreters of Islamic texts be Muslims, but that they be true Muslims—connected with the Muslim Ummah, and engaged with the struggle to establish Allah’s Din. This is precisely what our pious predecessors meant when they said: such and such scholar was “‘ ᶜâlimun ᶜâmil” and a “mujâhid”—that is, a righteous scholar, one who upheld the truth even against oppression and tyranny, and struggled in the way of Allah with a pure soul. Only then did the light of Islamic knowledge shine upon him. It is a historical fact, and an example of the amazing collected wisdom of the Ummah, that it never followed, revered as Imams or took its knowledge from non-Muslims, sell-outs or hypocritical scholars. My purpose in writing this article will have been accomplished if even one father or mother decides, upon reading this, that they are going to devote their most brilliant child, boy or girl, to the study of the Hadith of the Final Prophet ﷺ.
Sr.Zainab, you are a treasure. May Allah keep you in His special embrace. The only place Allah Most High can be found, is in the Quran. Studying the Hadith is just following the ways of man. It will teach you the ways of an Arab that lived millenia ago but is not the word of Allah Most High, which is only to be found in the Quran. Yeah, That man is the one we should follow if we really love Allah. Unfortunately, all the current divisions in Islam were born out of Hadith. The practices of punishing apostasy, stoning, and many many other archaic pre-Islamic practices are justified in Hadith. The notion that Hadith can be a science is a sad, unquestioned myth. 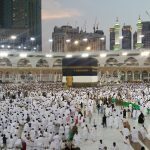 The Hadith that is most Authentic was the Prophet (PBUH)s final speech in Mecca, heard by 100,000 people. Thousands of first hand witnesses and yet there are four drastically different “verified” versions of it. Moreover, the practice of mixing sacred text with man made text is precisely the error in the New Testament Islam sought to correct with one single book memorized by 34 people before the Prophet passed away. And there remains only one version. Sadly people scarcely read the Quran today in any effort to understand it. We’re told you need a scholar, you must be versed in some science, you must be an Arabic linguist, but the Quran itself tells the reader that God gifts comprehension based on the state of one’s heart and their intention. For those who have faith, there is no detail missing in the Quran, as it promises to be the complete source for all matters of Justice and Faith. Sister, faith in Allah swt, Him alone, and our sacred and personal relationship with him is what we need to revive. Btw, I love all your other posts mashallah :) Bless you, and thank you for all the light you bring to so many issues. When I first got married I was a terrible cook. I actually didn’t know how to cook anything at all – not even plain rice. The first few days and weeks of my cooking attempts lead to some strange and confusing meals. I combined spices that shouldn’t be combined, I burned the bottom of every pan I used, and I turned great ingredients into leathery, rubbery messes. But Amr ate every one of those meals, even though I knew they tasted pretty odd. He never gagged or pushed the plate away, he never reached towards the phone to order a pizza instead – God knows he my have wanted to. He ate the meals, and then he thanked me for cooking them. When was the last time we put the feelings of someone above our own, or above the need to always be right? Oftentimes we hold the quivering hearts of others in our palms, not understanding that what we say or do can damage them. We think being completely honest trumps protecting hearts and feelings. And yes, sometimes it is more important to be honest, but in some situations, it isn’t. When people offer us something – a meal, their company, a gift – they open themselves up in a way that’s hard to do. They’re giving you something they believe is worthwhile. So even if it means grimacing through a not-so-pleasant meal, or being in the company of someone we don’t find particularly interesting, or pretending to like a gift even though we think it’s kind of terrible, we do it. We do it out of love, out of respect, and out of a desire to emulate our beloved Messenger Muhammad (saw) who was the kindest and gentlest of all. It takes personal sacrifice to protect someone else’s feelings. But it’s a sacrifice that comes with a great reward. I’m a better cook now. I’m better now at most things actually. And it’s because “thank you, Asmaa,” was Amr’s response to everything I tried. Instead of making me doubt myself or feel embarrassed because I couldn’t do things perfectly, he equipped me with the confidence I needed to continue. He put my feelings above his own, and for that I ask God to raise his status in the hereafter. Ameen. Definitely, the Hadith is under attack. Not only non-Muslims, but even those who claim to be Muslims, are bent upon discrediting the value of Sunnah/ Ahadith. The rejectors of Hadith are active on social, print and visual media and it appears that these people hae access to the resources which helps them to spread this aniti Hadith tirade.. These people raise doubts in the minds of gullible Muslims with regard to the authenticity of the Hadith and deny it the legislative authority. I think, we do not need to be afraid of Orientals, as these people do not have much influence on the common Muslims. But we should take care about those who have Muslim Names but all their efforts are spent in convincing others that Quran is sufficient source of the Din and Hadith does not matter. They spread rumours regarding the non preservation of Hadith and that they were penned down long time after the Prophet Muhammad ﷺ. By doing this they are pleasing those who want to interpret Islam as per their wishes and want to make Islam in conformity with the western values.when Hadith is its denied its role, people are free to interpret the meaning of Quran in its own way. It is our collective responsibility to take care and to counter these attacks on the status and Authority of the Hadith.